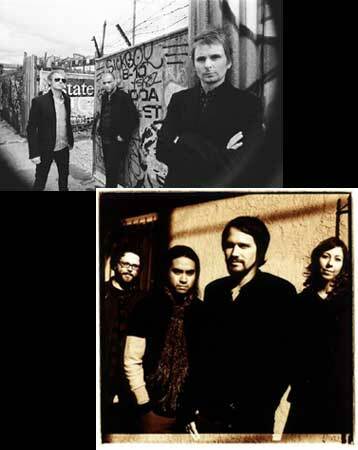 Muse and Silversun Pickups - an awesome double bill. For those not entirely familiar, Muse performs a dramatic and satisfying blend of prog rock and electronics with some classical influences, at times Queen-reminiscent vocals, and – according to Matthew Bellamy – are influenced by the guitar stylings of Jimi Hendrix and Tom Morello (Rage Against The Machine, Audioslave). Their live shows are said to be pretty amazing, and listening to a live version of “Knights Of Cydonia” from Wembley Stadium right now, I’d say it will probably be one of those exhilarating concert experiences. On this current U.S. tour, they’re joined by the superbly marvelous Silversun Pickups, whom I very highly recommend to anyone not familiar with them. I had the great pleasure of seeing SSPU in Hartford last year, and it’s exciting to see them perform in venues such as Madison Square Garden. Really exciting. London jazz-pop singer Jamie Cullum. If you like smooth jazz singing and/or bluesy, funky rockabilly, consider heading over to the House of Blues next Saturday. 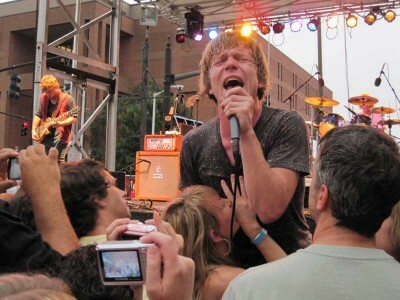 Matt of Cage The Elephant gets up-close and personal in Providence last summer. Well ok, the show is sold out, but I just love these guys and they’re totally crazy, so I have to give them a little nod. 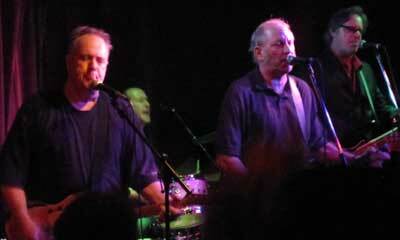 My first time seeing them was at this uber-cool Providence Block Party last summer, and they were really fantastic. 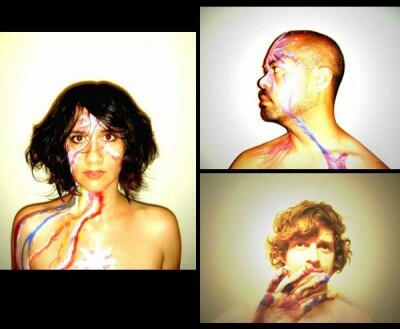 Sarah Negahdari, Chris Hernandez, and Charles Mahoney of The Happy Hollows. While they’re not going to be stopping in Boston (truly a bummer, but they did try and couldn’t get anything scheduled), the awesome Happy Hollows will be crossing the great expanse to play a few shows here on the East Coast. If you’re not familiar with these guys yet, what are you waiting for? They’re pretty and ethereal, crazy and experimental, mystical and kinda whimsical as well. UPDATE: Avi Buffalo unfortunately not appearing, but New York-based JBM will be performing instead. Well, this is exciting! Avi Buffalo, one of my much-loved L.A. bands, are embarking on their first long-term U.S. tour (two months) which kicks off here in Boston. I can’t think of a nicer way to reward oneself for making it this far through a cold and nasty winter than heartfelt heartland Americana and a warm blast of California sunshine. 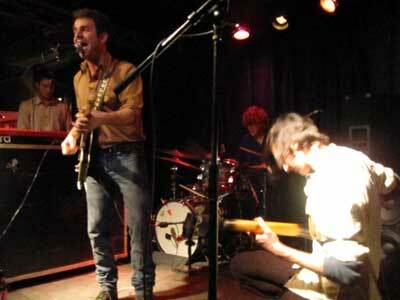 What an inspired triple bill – Jason Boesel (part of a recent Laurel Canyon musical resurgence along with his friends from Dawes), plus Corey Chisel & the Wandering Sons, who hail from Appleton, Wisconsin, but share their love for upfront, honest and unpretentious lyrics, warm and sincere harmonies and soulful alt-country melodies. A beautiful evening of music that felt like a big, warm hug. Some of the bands featured during The New England Americana Festival @ the Church of Boston: The Accident That Led Me To The World, Brown Bird, Jimmy Ryan, Big East, and Three Day Threshold (photo by Mandy Morin). A busy time with lots of things to write about, so for now, I’m just going to mention this one Boston-area band event going on at Church. 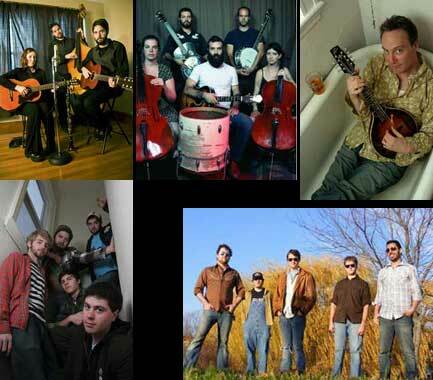 However, it’s actually a whole pile of bands taking part in the three-day New England Americana Festival, so I’ll briefly profile a few of the bands performing. Trying to discover that cool new indie band just ahead of everyone else is all well and good, but sometimes it’s nice to put on some comfy clothes, head on down to the basement of the old Somerville police department, and listen to some good old time rock ‘n’ roll. And sometimes it’s nice to see people past the age of 25 kicking it out past 1am. Actually, it’s really nice to see that. 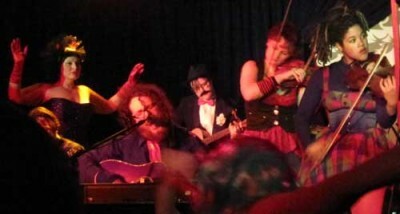 So it was at Asa Brebner‘s CD release party for Sueños De Los Muertos.